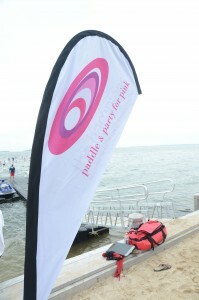 This Saturday August 17th three of our favorite things come together – Pink, Paddle Boarding, and Posh Parties. 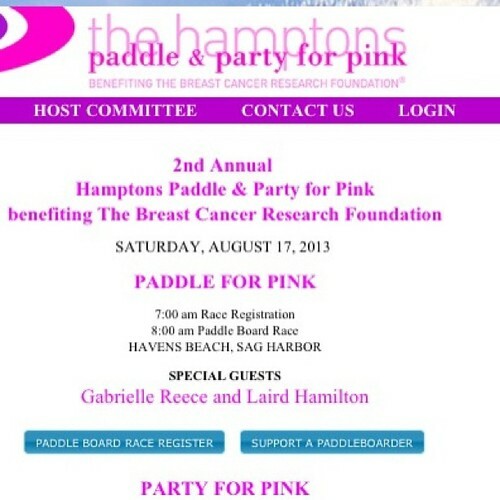 Raising funds for the Breast Cancer Research Foundation, the 2nd Annual Hamptons Paddle & Party for Pink features special guests Gabrielle Reece and Laird Hamilton and is Co-Chaired by Maria and Larry Baum and Lisa and Richard Perry. The day starts with a paddle board race at 8am at Havens Beach in Sag Harbor. A very special sunset fundraising party will be held at the stunning North Haven home of Lisa and Richard Perry at 6:30pm. Also be sure to check out their amazing auction items at CharityBuzz.com.